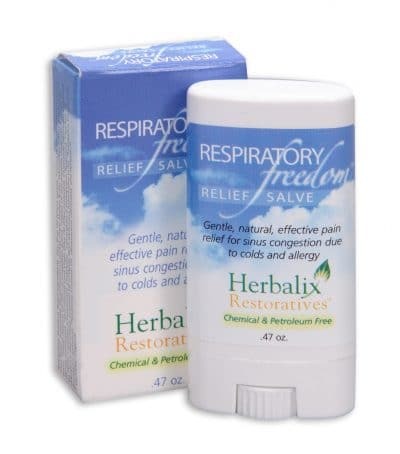 Respiratory Freedom™ Relief Salve: A natural moisturizing pain salve stick, used to relieve symptoms of sinus pressure, nasal and chest congestion due to everyday environmental allergens like synthetic fragrances, dust and pollen. Also helps relieve symptoms from the common cold including post nasal drip, cough and neck stiffness. 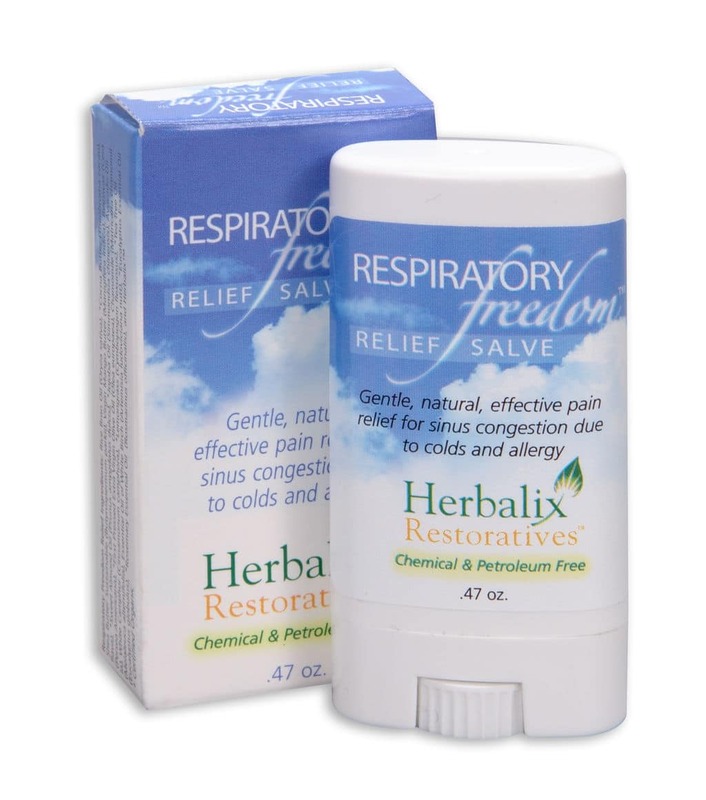 Convenient packaging makes pain relief – On The Go safe and easy!